♫ Listen to the story read by native speakers! Within the book you&apos;ll find a link that gives you free access to audiobooks in both languages. 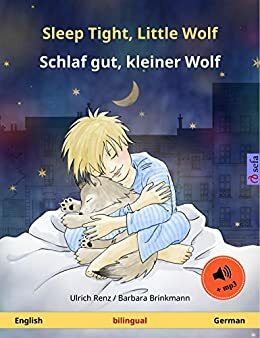 ♫ Lassen Sie sich die Geschichte von Muttersprachlern vorlesen! Im Buch befindet sich ein Link, mit dem Sie mp3-Hörbucher in beiden Sprachen kostenlos herunterladen können. Due to large size of this book, please connect your device to WiFi to download. Kindle Edition with Audio/Video: Audio/Video content is available on Kindle Fire, Kindle Fire HD, iPad, iPhone, and iPod touch devices. "Ulrich Renz was born in Stuttgart, Germany, in 1960. After studying French literature in Paris he graduated from medical school in Lübeck and worked as head of a scientific publishing company. He is now a writer of non-fiction books as well as children's fiction books. Barbara Brinkmann was born in Munich, Germany, in 1969. She grew up in the foothills of the Alps and studied architecture and medicine for a while in Munich. She now works as a freelance graphic artist, illustrator and writer." 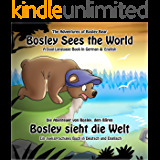 It's a fun book that teaches basic German to the pesky child who doesn't want to learn it! The construction and material of the book are bad enough, but I also greatly dislike the illustrations and story. I would not present this book to my children and thus returned it.